Immediately after the Resident Evil demo, it’s back again to queue for DMC5’s. I was honestly a little more excited about this demo compared to RE’s because I’m better versed on this franchise (and that I owe some of my taste on aesthetics to Vergil being suave). The majority of my 5-hour queue was spent on DMC’s line, but I would not be deterred from my quick glimpse on DMC5. The playable demo for ESGS, lets us play as Nero only, and while it’s a bit of a shame to not have the choice to play as Dante, being able to see how Nero plays with his robotic arm isn’t bad. 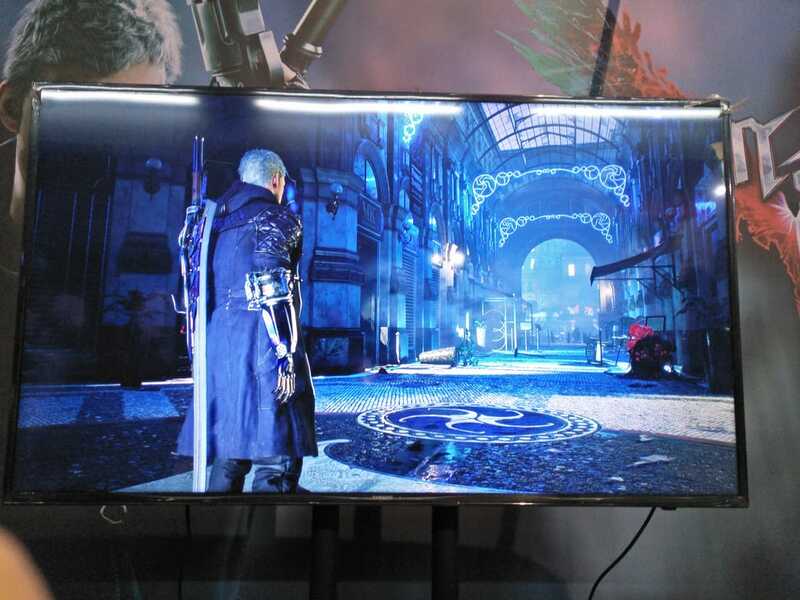 Graphics and UI have been spiffed up for DMC5, which seems to be par for the course, and DMC5 features broken glass on Nero’s. It looks nice and at the same time doesn’t prove distracting to your screen. The Nero demo gives a good glimpse of how Nero’s playstyle has changed thanks to his robotic arm. I find him to be more flexible now compared to before because he has different kinds of robotic arms and each has different effects. The default movements of the arm also give you more options for combo juggling, which made really surprised because I couldn’t combo this easy with Nero before. And the fact that he can air combo better made me question if Nero improved or I just sucked back then in DMC4. I wish we’d been given more time to play through the demo because there were a lot of things I wanted to test around for Nero because he felt more fun to use now compared to DMC4. I am definitely looking forward to the full game!